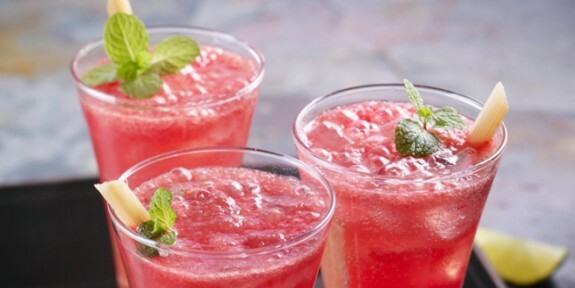 Blend together deseed water melon, lemon juice, mint leaves, sugar. Blend this well again adding ice cubes and strain it. Pour this in two glasses (till ¾ of the glass). Fill it with 7up / sprite /soda. Add ice cubes to it and top it with a slice of lemon and mint leaves. Its ready to serve.